Take your career to new heights when you study at the Aviation Institute. 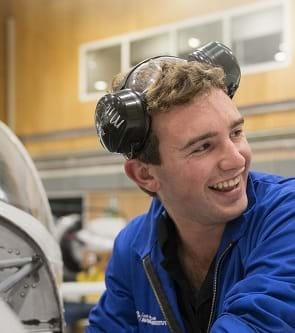 Currently there are students from 18 different countries studying at our world-class facilities in Christchurch towards a career as an aircraft maintenance engineer. Why don't you join us, and launch your aviation career. The Aviation Institute's aircraft maintenance programme is approved by the European Aviation Safety Agency (EASA) which is regarded amongst the aviation industry as the highest international standard. The programme is also approved by the New Zealand Qualifications Authority as the New Zealand Diploma in Aeronautical Engineering (European Regulations) - Level 5. Successful graduates receive an academic qualification, an industry qualification and can add to their CV that they have trained with one of the worlds most recognised award winning airlines. Train alongside industry professionals. Our domestic and international students train in the same facilities with the same professional facilitators as Air New Zealand's own staff. Lessons learnt and innovation from the operational environment transfer to our training programmes, ensuring they are best fit for industry. In addition to learning from industry professionals, the opportunities to network with a wide range of aviation personnel are unparalleled. 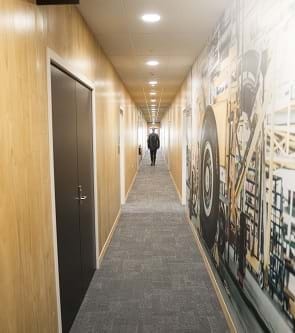 Currently all International students studying aircraft maintenance are based out of our new purpose built engineering campus at Christchurch Airport. This facility is fully equipped with a variety of dedicated training aircraft, workshops and classrooms. providing excellent opportunities for field trips and on job training. The Air New Zealand Aviation Institute is a registered Private Training Establishment (PTE) and accredited by the New Zealand Qualifications Authority (NZQA). This government certification acts in the interests of domestic and international students to ensure that programmes are industry relevant, quality assured and that student fees are fully protected. 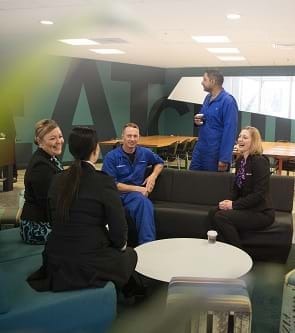 The Air New Zealand Aviation Institute has agreed to observe and be bound by the Code of Practice for the Pastoral Care of International Students. It is available to read in a number of languages here. Immigration New Zealand has launched ONLINE-Student, a visa application service that allows you to apply for your student visa, pay visa fees and upload supporting documents online. Full details of immigration requirements, advice on rights to employment in New Zealand while studying, and reporting requirements are available from Immigration New Zealand, and can be viewed on their website. NOTE: Air New Zealand employment policy requires all applicants to have permanent New Zealand residency in order to be considered for positions with Air New Zealand. Most international students are not entitled to publicly funded health services while in New Zealand. If you receive medical treatment during your visit, you may be liable for the full costs of that treatment. Full details on entitlements to publicly funded health services are available through the Ministry of Health, and can be viewed on their website. The Accident Compensation Corporation provides accident insurance for all New Zealand citizens, residents, and temporary visitors to New Zealand, but you may still be liable for all other medical and related costs. Further information can be viewed on the ACC website. International students must have appropriate and current medical and travel insurance while studying in New Zealand. This is a requirement under The Code of Practice for the Pastoral Care of International Students. Insurance can be arranged through Southern Cross under its Student Max Plan. If you wish to purchase your insurance elsewhere, you will need to provide the ANZAI with a copy of the insurance certificate and policy wordings so we may determine whether the insurance provides sufficient cover for the your medical, travel and potential repatriation needs. Accommodation costs and other living expenses will depend upon individual choices, but it is expected that most international students will need to allow for around NZD$15,000 per year. Being an airline training centre the Aviation Institute does not have any onsite accommodation, although there are many offsite options to suit students individual needs and budgets. International students generally reside in homestays, hostels or rented accommodation. After enrolment our Student Support will help you to locate suitable accommodation prior to your arrival in New Zealand. The Air New Zealand Airline Integration Course (AIC) provides Commercial Pilot Licence holders with a detailed introduction to the many demands of a multi-crew cockpit and the systems and operation of modern turbo-prop and jet aircraft. It is currently offered in Auckland New Zealand and delivered by the Nelson Aviation College. The Bachelor of Aviation (Airline Transport Pilot) degree is well established, having been first offered in 1993. It is offered by the Massey University School of Aviation in Palmerston North, an Aviation Institute preferred FTO. The three-year integrated programme comprises academic study as well as practical flight training. The Aviation Institute’s EASA 147 approved basic aircraft maintenance course is made up of two individual qualifications allowing students to complete them separately as resources or time allows, or as a single combined 2 year course. A 36 week introduction to a career in aircraft maintenance. This Certificate is also the first 36 weeks of the Aviation Institute's EASA approved course, and is a pre-requisite for a trainee-ship at Air New Zealand Engineering and Maintenance. 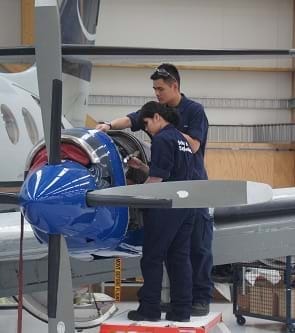 Graduates of the New Zealand Certificate in Aeronautical Engineering programme can continue their studies and training by working towards a maintenance licence by undertaking the Diploma programme in a mechanical B1.1 or B2 avionic strand. Aligned with EASA Part 66 the Diploma includes EASA licence examinations. 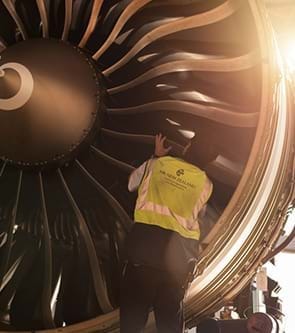 A formal pathway for EASA B1.1 course graduates to complete a degree in Aircraft Maintenance and Airworthiness Engineering, provided by the University Limerick.